Don't wait, Order now! Be the highlight of the party in your bright orange tuxedo! These trousers are designed to correspond with their coat counterpart, CN960. 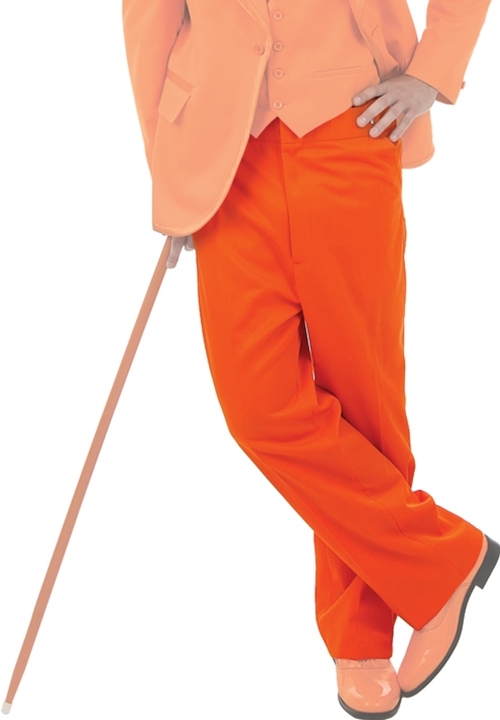 These trousers feature an adjustable waist band, flat front, side satin stripe, and are fashioned from the same bright orange polyester fabric as the coat. To complete the effect, have a friend order the matching blue tuxedo Here and you'll make a splash at any party dressed like everyone's favorite Harry and Lloyd!